Was Count Fersen Really Marie Antoinette’s Lover? : No, he wasn’t. There is no evidence they were ever lovers, yet a lot of people think they were. This post discusses why that is, and why nothing ever happened between them. The Scandalous Affair Of Queen Caroline Matilda Of Denmark: not all Queens were as faithful to her husband as Marie Antoinette. Queen Caroline of Denmark, sister of the prude English King George III, created a huge scandal when she took her lover and tried to rule the country with him. Who Killed Anne Boleyn? : Everyone has his/her own theory on who killed Anne Boleyn. Was her death Henry VIII’s or Cromwell’s fault? Or was someone else responsible? Here are my thoughts on the matter. The Tragic Case Of Beatrice Cenci: this story took place in the Reinassance, but the same happens too often even today. Abandoned by the authorities, a victim of domestic abuse decides to defend herself by killing, with the help of her family, her persecutor. She was sentenced to death for it. Did Catherine Of Aragon Suffer A False Pregnancy? : Queen Mary I of England suffered two false pregnancies. But did her mother go through the same thing? The disastrous marriage of George IV and Caroline of Brunswick: George IV and Caroline of Brunswick had one of the worst royal marriages in history. They never even tried to give their marriage a go, preferring to make each other’s life a hell from the very beginning. The Amazing Escape Of Princess Henrietta: Princess Henrietta was still a toddler when she had to escape from her native England to France during the Civil War. It was a long journey that almost cost her governess her life. The May Queen: Marie-Jose of Belgium was called the May Queen because she reigned in Italy only for a month. It’s a shame, cos this wonderful woman did and could have done much more good to her adopted country. Giovanna Of Italy: Marie-Jose’s sister-in-law lost her crown too. She was married to the Tsar Boris III of Bulgaria, a country that suffered greatly during the Second World War and under Communism. Louise Hollandine of the Palatinate, The Artist Nun Princess: a sister of the dashing Prince Rupert of the Rhine, Louise Hollandine of the Palatinate was a talented artist who decided to follow, much to her family’s chagrin, her vocation to convert to Catholicism and take the veil. Rosalie Filleul: a popular French pastellist who lost her head during the French revolution for showing sympathy towards the royal family, which was considered a crime by the new regime. Gorgeous Worth Gowns: Worth was a very talented couturier who created some stunning gowns. Here are a few examples. Robes A La Francaise: more pretty clothes! A few beautiful examples of robes a la francaise. 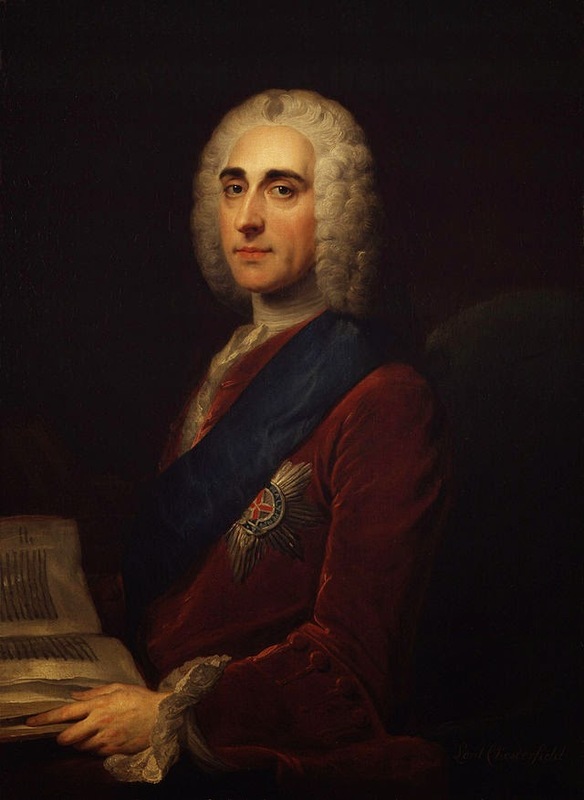 Lord Chesterfield’s Advice To His Son: Philip Stanhope, 4th Earl of Chesterfield, wrote a lot of letters to his illegitimate son Philip, giving advice on all kinds of matters, from deportment to morals, from etiquette to books. A lot of the advice is still very useful and relevant today. What was your favourite post of 2014?